ABA Pick of the Lists author Dennis Haseley pens this touching tale about the joys of reading aloud. 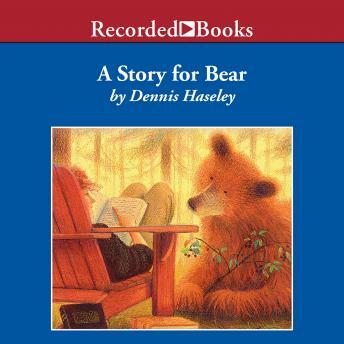 A young bear, watching a woman read one summer day, wonders how words in a book make her laugh. As his curiosity draws him closer, she offers to read aloud for him. He listens intently while she reads book after book. O how he loves the soothing sound of her voice! But one fall day, she is gone. And how will he ever bear her absence?